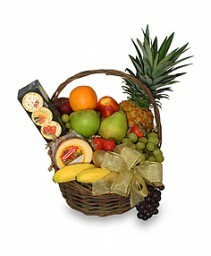 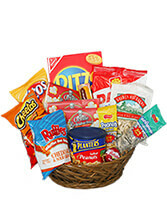 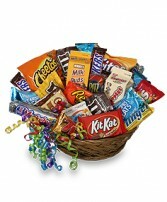 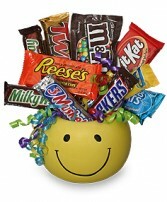 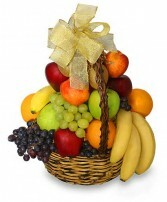 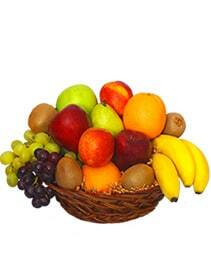 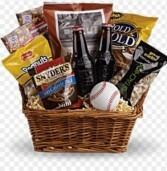 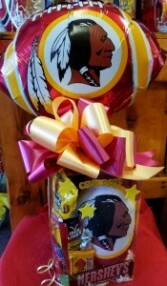 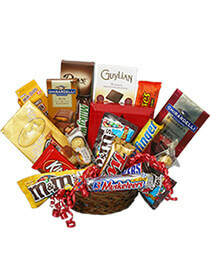 A brown basket filled with a variety of delicious snacks and a 4 pack of Root Beer finished with a baseball. 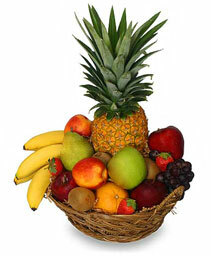 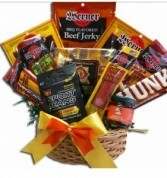 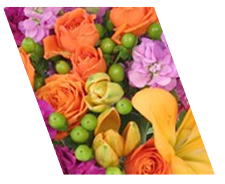 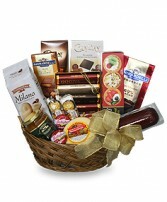 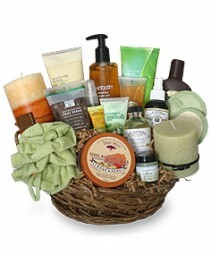 A white wicker basket filled with a variety of beef jerky treats and other snacks. Also includes a sport drink.